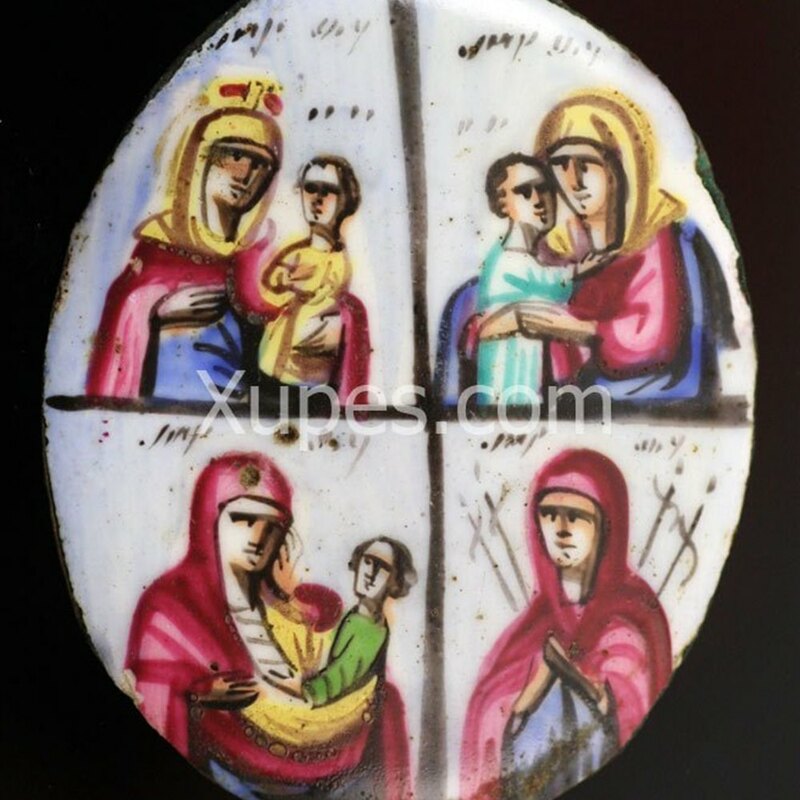 A fine Russian coloured enamel plaque portraying four smaller religious images subdivided by a central cross. The enamel is in good overall condition with only very minor wear. A fine example for the enamel collector!